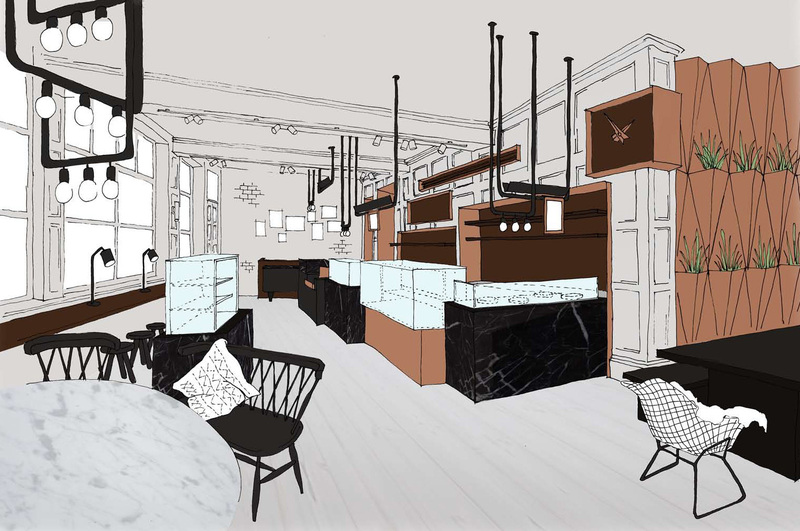 A new branch of the cosmopolitan café chain Apostrophe in the heart of the City of London will be opening this Spring. Here is a sketch of our design concept – the intention is to create an informal atmosphere with playful design details. We’ll post some site progress photos soon! Check out the graphics that we designed for their 10th anniversary celebrations here.